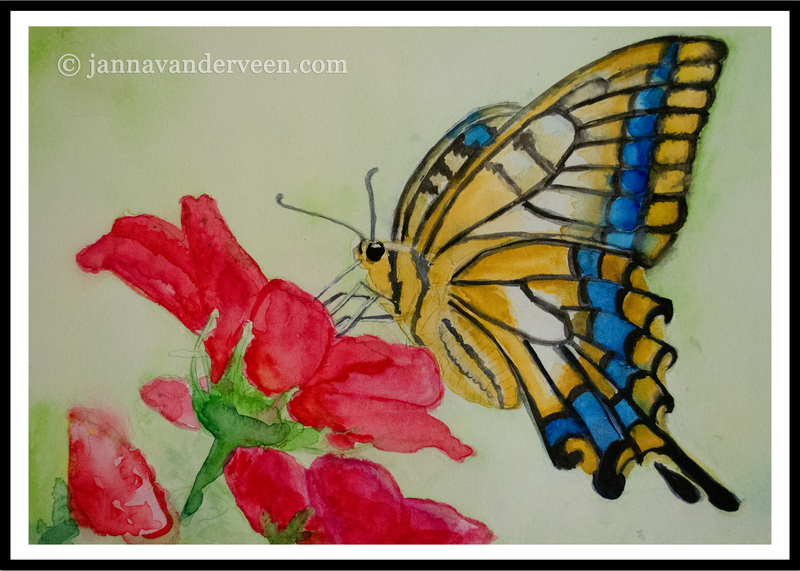 I didn’t want to post this latest watercolor painting. Except my husband reminded me that I should be posting my epic fails and disappointments alongside my successes, as part of my blogging experience. So here it is. The colors are blocky and the lines rigid. I splattered paint in areas I shouldn’t have. I didn’t capture the essence of wet in wet painting, which bleeds, disperses, and merges into a beauty all its own. But that’s OK. Because this is life and there is beauty in the experience of creating. And in between all my fix-it sessions, I managed to finish a detailed, in-depth outline for book two in my Eden’s Gate series.